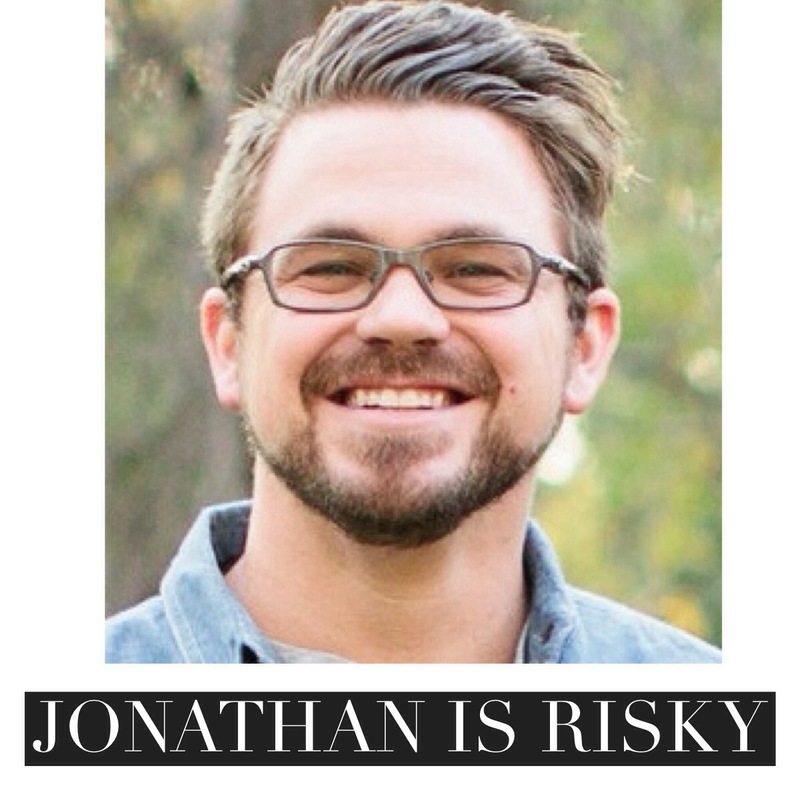 Just when I thought I was getting comfortable with being risky, my friend Jonathan Gulley sent me his guest post for An Uncomfortable January. I've known Jonathan since I was a kid and have a deep respect for both he and his wife. This past year they have taken extreme risks and I asked him to join us this month as we talk about being risky in 2014 in order to do what we really want to do and become who we want to become. I think you will like what he has to say. Take it away, Jonathan. 2013 was a huge year for my family and me. It started out like normal. Every New Years Eve, I come up with my one word for the year. I got this idea from a book and really like it. This word helps remind me of the main thing I want to be about for the next 12 months. Doesn't that sound like an awesome idea? I like it so much I've thought about getting it tattooed on my body, but didn't especially like the idea of 50 words on my skin between now and the time I die. Last year, my word for the year was 'Astonished.' And no one was more shocked than me that after 10-15 years of being in full-time ministry, starting a wonderful and vibrant church in Chicago-land through one of the most amazing and dynamic organizations on the planet that I would hang up my ministry cleats, move cities and churches and change professions. Now, some have thought that I must be having a quarter life crisis. Others have wondered if my reason stemmed from some beneath-the-surface relational fallout. But though people mean well, what makes this journey so crazy is that the opposite is true. All of my brothers and their wives are in ministry with this organization. Most of my best friends are somehow tied to this church community around the world. On top of that, as far as I know, I don't have any enemies in the organization. So why, if you have influence, history, a church and staff that love your leadership and well-cultivated relationships over many years with the same tribe, would you leave all of that and embark on a journey with few particulars? Because, in the words of John Legend, "[she] is crazy and I'm out of my mind." Just kidding. I just felt God leading me to risk everything again and head in a new direction. Plain and simple! Plain and difficult! One of the things I have learned in 2013 is that new beginnings are exciting to talk about but they require enormous iniative and energy. Maybe that is why in 2014, my word for the year is: 'Pursuit'. I believe in order to start anew, I must devote this year to applying myself to the pursuit of people and opportunities like never before. Easy, right? I am not so sure. No matter who you are, regardless of whether you like the adrenaline rush of risk-taking or not, to pursue or be pursued takes a truckload of courage. You better believe the moment you put your heart on the line, the fear of rejection, the fear of failure, passivity, and in my case, self-protection will claw at you and try to talk you down from being the pursuer you were born to be. If that is true then I believe the largest risks we ever take in life are the risks we take on relationships. Starting a new job in a new culture is a risk. Finding a new church community is a risk. Marrying that person you love but have only known for a short time compared to the years you've been born is a risk. Being a change agent, one of the hardest things for me to do when someone responds wrongly towards me is resisting that urge to change them into someone I'd like to be around. Now, this is something that I've never liked about myself. Don't get me wrong. I love change. I love dreaming about seeing God-sized change happen all across America, in every industry, and neighborhood. But sometimes I would like to change people more than love them...especially when they are hard to be around.